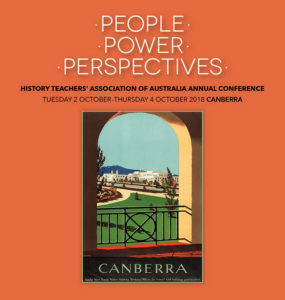 Early bird registrations for the HTAA National Conference , held in Canberra 2 – 4 October close on 31 August. We are pleased to announce Professor Bethany Hughes will be presenting the keynote speech on Women in Ancient Society. The conference has a wide range of workshops, keynote speakers and panel discussions covering pedagogy, content and the importance of History. Join us for a range of social events and excursions which provide a chance to network or catch up with ‘old’ colleagues.